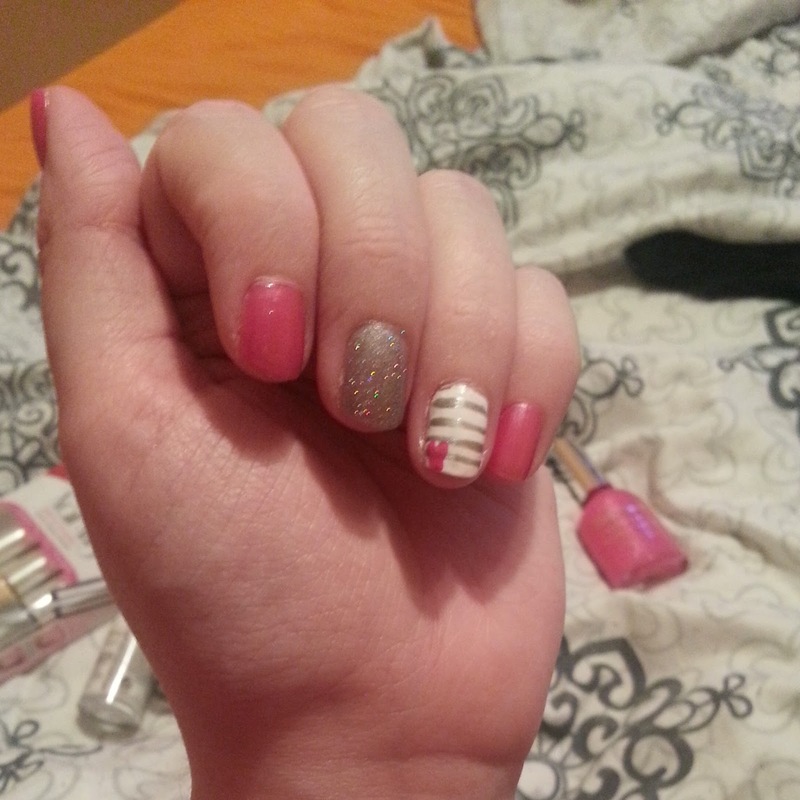 Deidre's Discoveries: Valentines Day Inspired Nails! How cute is this look for Valentines Day! Use any base coat that you like! I painted my thumb, pointer, and pink nail with the pink Sally Hansen nail polish - of course you can use any pink polish you'd like! Or even red would be nice! I painted my middle nail with the silver kiss nail art paint, and let that dry. I then painted my ring finger with the white on nail polish. I let these all dry before moving onto the next steps! On the white nail, I made lines with the silver nail art paint, going across my full nail. Once that had completely dried, I took an old bobby pin, and used the pink polish to create a small heart on the inside corner of my nail. Don't forget a top coat! Now I'm not extremely artistic, but I love this look for Valentines Day! You could change it up with any colour you'd like! Take a look at fellow Canadian Beauty Blogger Valentines Day posts! I love the colour combo and the end result!